Doctors Without Borders/Médecins Sans Frontières (MSF) provides the following written submission regarding the negative impact that the Trans-Pacific Partnership Agreement (TPP) will have on access to affordable medicines and biomedical innovation. MSF is an international independent humanitarian organization that provides medical assistance in over 60 countries, in need of both affordable access to and innovation for medical technologies. Competition has a proven record as a critical tool to lower drug prices and help deliver effective medical care. Intellectual property trade obligations and other protections for pharmaceutical companies that limit price-lowering generic competition are driving up drug prices. The TPP puts in place far-reaching new government obligations that lengthen, strengthen and broaden patents and other pharmaceutical monopolies. The effect will be to further delay access to generic medicines beyond current requirements of international trade law. 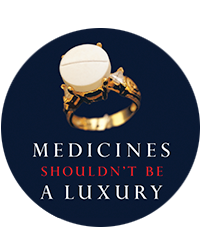 The provisions also undermine public health safeguards that governments and others have to promote access to medicines and limit abuse. The TPP represent a departure from previous Australian global health commitments towards developing countries. Unless is modified, the TPP will exacerbate the global crisis of high drug prices. For example, the TPP will not allow national regulatory authorities to use existing clinical data demonstrating a pharmaceutical product’s safety and efficacy to authorize the sale of competitor products, even in the absence of patents. The additional monopoly protection provided for biologic drugs and vaccines will keep already very expensive products out of the hands of millions. The TPP would also force governments to extend existing patent monopolies beyond current 20-year terms at the request of pharmaceutical companies, and to redefine what type of medicine deserves a patent, including mandating the granting of new patents for modifications of existing medicines. The TPP also fails to address the urgent need for reform in the biomedical innovation system. The sole reliance on high medicine prices, backed by exclusivities and monopolies, is a flawed paradigm for funding innovation. This leads to unaffordable prices while failing to stimulate innovation for diseases where patients have limited purchasing power like neglected tropical diseases or where drugs have to be used sparsely like antibiotics. The negative impact of the TPP on public health will be felt for years to come, and will not be limited to the 800 million people in the current 12 TPP countries. It is a dangerous blueprint for future agreements and aims at being a standard-setting agreement and to create new global trade norms. Instead of doubling down on a broken model, the Australian Government should collaborate with other governments to introduce new approaches that promote both innovation and access. It is not too late to prevent the further restrictions on access to affordable medicines that would be created through the TPP. MSF urges the Australian government to protect the right to health of millions of people that will be negatively impacted if the TPP is approved in its current form. The TPP should be modified or rejected.